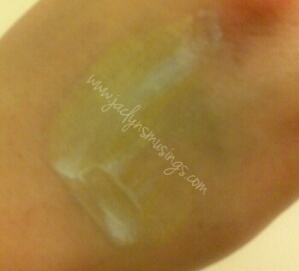 Recently, I had the honor of trying Studio Gear’s New Hydrating CC Cream in the shade Linen. This CC Cream is available in 3 shades, Linen, Natural, and Wheat. I have to say that I’m not crazy about the name of the shade Natural as it insinuates that lighter or darker skin shades are not natural although I’m sure that was not their intention. All of these shades change color to exactly match your skin as you rub it in. Like the name Linen suggests, it looks white when first squeezed from the tube. I happen to be a bit fan of this type of tinted moisturizer/foundation. I really do like this CC Cream. I’ve been experimenting with more natural foundation looks. If I wear this more as a tinted moisturizer under my foundation it stays on my skin just fine. But the few times I’ve tried wearing this by itself, I’ve found it slipping off in a few places (namely my nose, cheeks, and chin). That said it has been anywhere from 70 (if we’re lucky) to 95 (if we’re not) degrees in way too sunny Southern California. The significantly higher than normal temperatures could certainly be playing a part in CC cream not staying on as long or well as I’d prefer. My roommate from college was over recently and I had her try a little bit on her skin to see how it blended. I have to say, I was a bit envious that it seemed to blend even better on her skin than mine! She is also very light skinned with golden to neutral undertones compared to my pale skin that has VERY pink/red undertones. 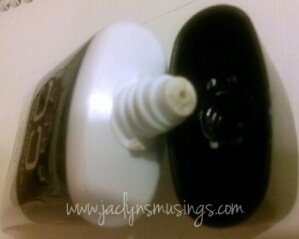 Below can see how the CC cream looks upon first being placed o my skin. Then you can see the blending in transformation. I really enjoyed the holiday palette I was lucky enough to review several months ago and really enjoy this product as well. So far I’m very impressed with Studio Gear. I very much hope to be able to try out (and review) more products from the Studio Gear line! Guess what?!? Studio Gear has offered YOU, my followers, a special 10% off discount code for ANYTHING on their website www.studiogearcosmetics.com! Just use bloggercc to get this exclusive discount. And please let me know in the comments what you ordered! My spring break was a couple weeks ago now, but my dad was off this past week and my sister is this week! When are you off for spring break? If you have some time off, do you have any plans? Please let me know in the comments! I’m currently figuring out what I want do over summer break! I’ll give you an update once I figure it out myself. Disclaimer: I received one or more of the products mentioned above for free using BrandBacker.com. Regardless, I only recommend products or services I use personally and believe will be good for my readers. All opinions are mine. Please see my disclaimer policy for more information. I'm trying this new widget and I would REALLY appreciate it if you could PLEASE follow. I've been looking for a new followers app since GFC was taken away from non-blogger blogs. Thanks so much! Too Faced: A Behind the Scenes Visit to HQ! UPDATE: Beginning to Begin (again) Part 4! UPDATE: Beginning to Begin (again) Part 3! Copyright © 2011-2013 Jaclyns Musings. All Rights Reserved.